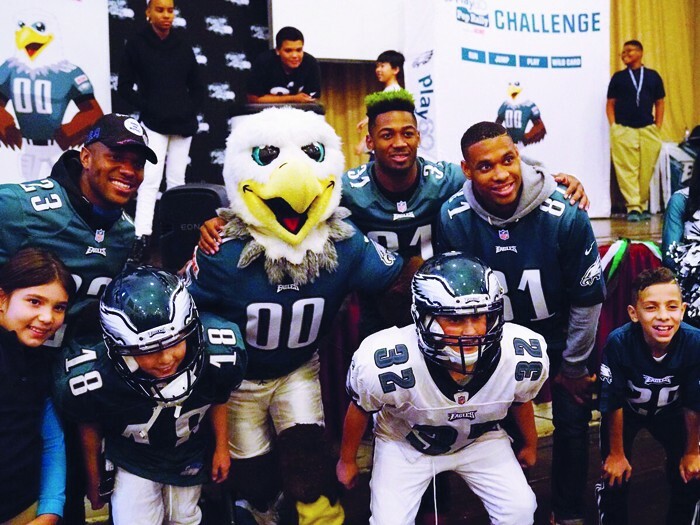 The Philadelphia Eagles continued to credit area schools for their commitment to fitness by holding a Play 60 Pep Rally at D. Newlin Fell School, 900 Oregon Ave., Monday. The franchise also presented the location with a $10,000 Hometown Grant. to further learners’ health-conscious decision making.